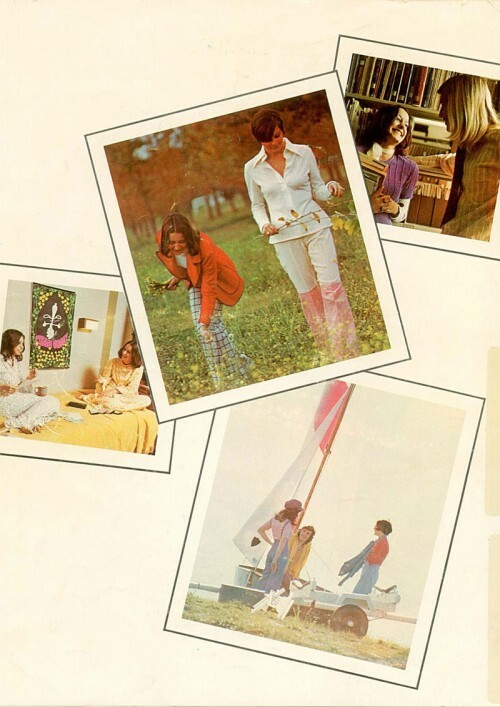 If you missed part 1 of what my life in Canberra could have been like in the 1970s then go and see it. It saw me moving to Canberra to work in a great job with the Australian government in a secretarial capacity. Part 2 explored the great things I could do outside of work including shopping in air conditioned malls. This is the final part of the series. The wide range of activities continues. 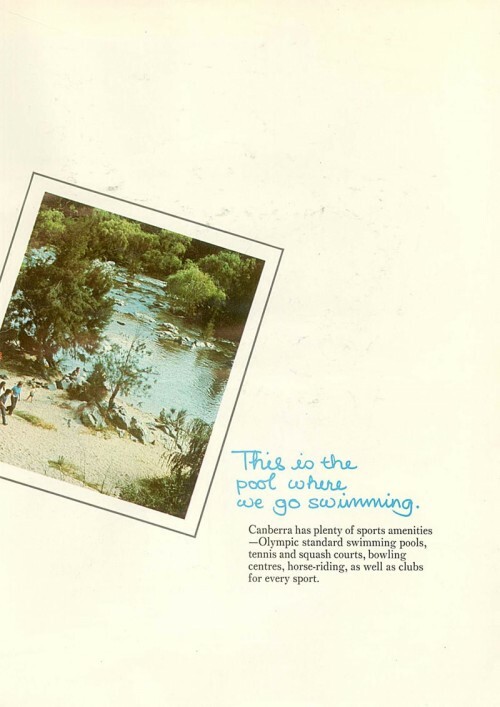 One day sees me in an olympic sized pool having a swim, or horse riding, or at one of the many sports clubs available. Lake Burley Griffin provides a great opportunity for sailing, and it just so happens that friends of mine have a sailing boat. How handy. After a spot of sailing go to the park with my boyfriend and smile sweetly at him while holding a flower. 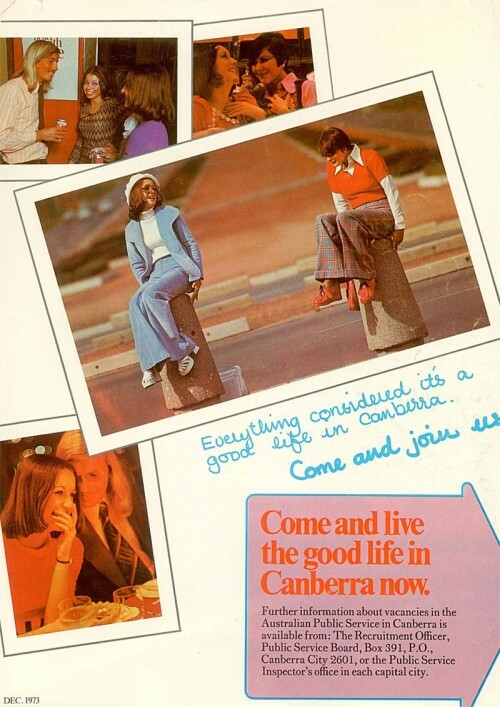 So are you convinced that moving to Canberra is a good idea? No, not yet? Oh, come on! You can request further information about working in Canberra by writing a letter. Telephones were around but making a call cost a bit too much for an out of work secretary so that wasn’t an option. 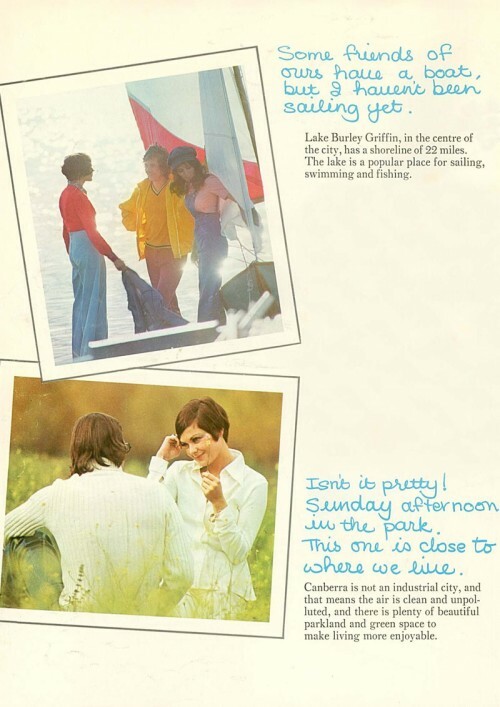 And just in case you’ve forgotten what you can do in Canberra if you come to live here, below is a reminder, or you can look back through part 1 and part 2. « What’s around the corner?